After last month’s bold introduction of two Portal smart displays with a Smart Camera feature that basically follows you as you move around the house, Facebook has even more ambitious plans for in-house hardware to be released over the next few years. 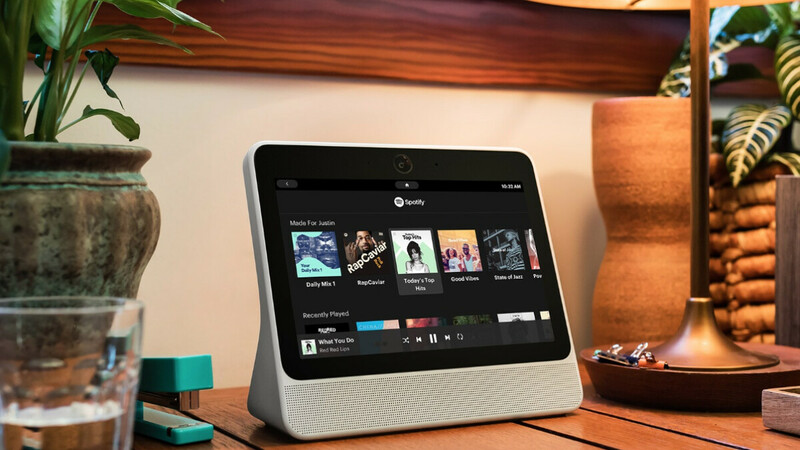 But first, the Portal and Portal+ badly need better software to take on the low-cost Google Home Hub and Amazon’s pioneering Echo Show family. After all, the average consumer probably cares more about the content supported by this type of newfangled device than things like privacy and personalized ads. That may actually be where the Portal duo struggled most at launch, although Facebook did promise the initial list of partners for music, videos, and news would grow rapidly. Well, you can now add YouTube to a roster previously including Spotify, Pandora, iHeartRadio, Newsy, and the Food Network, as discovered by TechCrunch. The social networking giant confirmed the world’s most popular video hosting service is already available “through an optional install in the Portal Apps catalog”, but obviously, it doesn’t play as nice with Alexa as with Google Assistant on the Home Hub. Namely, you can open the YouTube app with a simple “Hey Portal” voice command, but that’s pretty much it in terms of hands-free functionality. Everything else, including actually playing videos, will require direct interaction with the 10.1 or 15.6-inch touchscreen of the Facebook Portal and Portal+ respectively. Still, that’s clearly way better than having to settle just for Facebook Watch video content. Streaming platforms like Netflix and Hulu remain unsupported, though, so the Portals are not exactly multimedia powerhouses yet. The second-gen Echo Show, in contrast, supports Hulu in addition to Amazon’s own Prime Video service, while YouTube is technically blocked, but not from the gadget’s browsers. Then again, Facebook has a very interesting plan to stand out in this rapidly growing market (eventually), looking to add Google Assistant capabilities (at some point) after launching with Alexa. "Smart Camera feature that basically follows you as you move around the house" - I don't understand why would someone buy something like that!!! All of these assistants are basically a violation to the privacy and now they added a camera. excellent. The Google Home Hub has no camera, and that is why it's $150. It's even on sale for $100 in the US right now. Plus every Google Assistant smart display (Lenovo, LG, JBL) have physical camera privacy Shield buttons. Plus all the Google ones come with ad free YouTube right now (YouTube premium TV) As far as the Amazon Echo shows are concerned. Just put a post it note over the camera if you are that worried.